Family owned and operated... since 1986 We care about your vehicle and your safety. 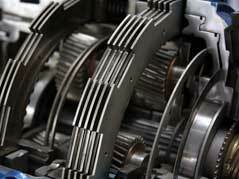 We do automatic transmission or standard transmission repair and service. We do it right the first time and stand behind our work. 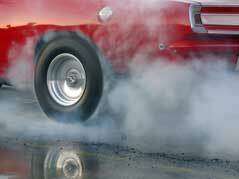 Come in today for a free transmission repair quote. Call us today! Family owned & operated, Gar's Transmissions is an auto repair shop specializing in automatic & standard transmission repair, transmission service, differential maintenance & repair, transfer case overhauls & service, clutch repair, flywheel surfacing, and general automotive maintenance for gas or diesel vehicles. Gar’s reputation as leading transmission service professional is not unfounded. Using top rated transmission parts and diagnosing some of the toughest transmission problems, the professionals at Gar’s Transmissions are serious about keeping their reputation, satisfying their clients, and staying a top rated auto repair shop. We are members of the National Federation of Independent Business (NFIB). All our technicians are Automatic Transmission Rebuilders Association (ATRA) trained and certified. We make sure that your vehicle is treated professionally throughout all automotive repairs and service.